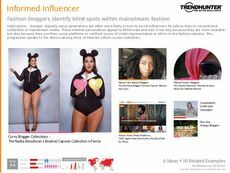 Find Better Ideas, Faster ® with a custom ethical fashion trend report, our PRO Dashboard and 80+ categories of premium trend reports. 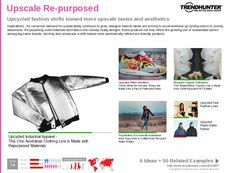 The Ethical Fashion Trend Report is a diverse compilation of the fashion lines and products that are being created to support people and the environment. 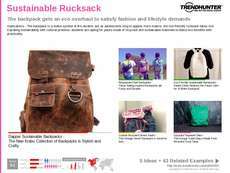 This report will cover campaigns and fundraising events that use clothing to gain monetary donations towards environmental initiatives. 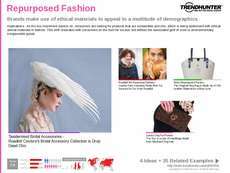 It will also look at the materials and production methods being used to create these ethically sound fashions and accessories. This report is beneficial for fashion designers and other professionals in the design industry. It will aid in a deeper understanding of alternative methods of production, while ensuring one's brand is aware of the competition. It can also benefit organizations that are fighting for social and ethical rights. 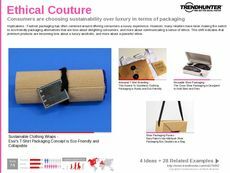 The Ethical Fashion Trend Report is designed to bring you the latest trends in the fashion industry, which will sharpen your knowledge and give you the ability to implement new tactics of production.